Today we continued our mission of educating the public and different government agencies throughout the year. NatCapLyne attended the Department of Health and Human Services Health Awareness Fair to discuss Lyme disease and tick-borne illnesses. Commander Tomas Bonome stopped by to pick up our latest project, Tick Busters. 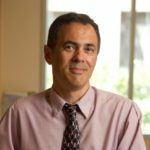 Mr. Bonome oversees clinical health, behavioral health, environmental health and safety, and wellness and health promotion services provided to the federal government. A Boy Scout is Always Prepared…Even for Ticks! 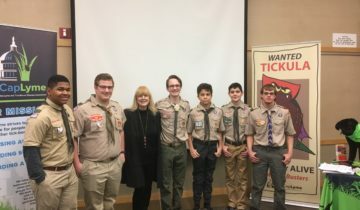 NatCapLyme was pleased to present “What You Need to Know About Lyme & Tick-borne Diseases” at a special event arranged by Eagle Scout Colin Jackson. Part of Colin’s requirement to receive his Eagle badge was to do an awareness program that would educate his community about ticks and how to avoid their bite. Colin presented his own story of how he was bitten by a tick on a scouting camping trip and the journey he as been on to restore his health ever since. His troop and scout master, along with family and friends, were there in support of Colin. NATCAPLYME SALUTES COLIN FOR A JOB WELL DONE!!! 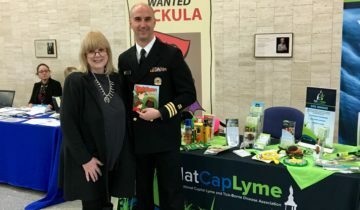 NatCapLyme was pleased to present at the National Security Agency’s one day workshop titled “The Great Imitator, Lyme Disease Information Day. Executive Director, Monte Skall, and Legislative Council, Susan R. Green, were pleased to speak at this informative program, which included a morning of speakers and an afternoon discussion panel on Lyme and tick-borne diseases. 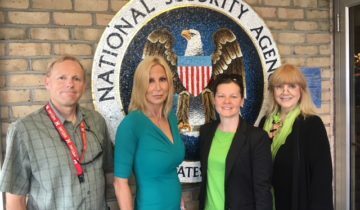 The NSA employees attending the event expressed their appreciation to NatCapLyme for providing such a thorough educational program on Lyme disease prevention and education. Close to 100 attended in-person, while others attended virtually from across the globe. By providing your email you agree to receive periodic emails from NatCapLyme. @RecognizeLyme @DrRHorowitz We will post video in the next few weeks! It's fantastic. On December 11, 2017, Gregg P. Skall was asked to present the keynote address to HHS’s inaugural TBD Working Group in Washington, DC. 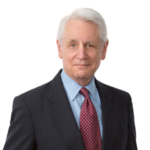 Mr. Skall has been the pro bono counsel for the National Capital Lyme and Tick-Borne Disease Association. 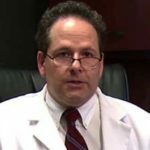 For these past 20 years, Mr. Skall has passionately advocated for the acknowledgement of Lyme and tick-borne diseases and for the advancement of treatment. Dr. Samuel M. Shor, M.D. recently made a presentation to the National Capital Lyme Disease Association providing an update on the clinical research he is conducting with Ceres Nanosciences, a Northern Virginian based biotechnology company. 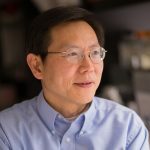 Dr. Ying Zhang, M.D. recently presented to the membership of the National Capital Lyme Disease Association and the public-at-large at Johns Hopkins Sibley Memorial Hospital in Washington, DC. His informative presentation titled, “Drugs Targeting Borrelia Persisters: Implications for Improved Treatment of Persistent Lyme Disease,” was well received by the audience. Welcome to NatCapLyme’s new website, which was designed to bring updated information and new insights about Lyme and tick-borne diseases to our membership and the public at-large. For almost 20 years, NatCapLyme has been a nationally known advocate for the recognition of tick-borne diseases and for the acknowledgment of the people who suffer from these diseases. Since its inception, NatCapLyme has provided support group meetings to Lyme sufferers and their families. NatCapLyme authored and petitioned for the passage of the Lyme Disease Testing Information Disclosure Act of 2013, and in 2016, the State of Maryland passed the Lyme Disease-Laboratory Test-Required Notice bill. NatCapLyme participated in the creation of a newly formed organization called Partners Against Lyme and Tick Associated Diseases (PALtad). This organization was founded to advocate for and protect the rights of patients suffering from tick-borne diseases. As one element of our public awareness campaign, NatCapLyme created a new series of highly acclaimed educational print materials on Lyme and tick-borne diseases. NatCapLyme participated as a panel member on numerous Virginia and Maryland Task Forces, which focused on Lyme and tick-borne diseases. NatCapLyme was a participant in the Institute of Medicine’s scientific workshop and represented the patient community on a summation panel presenting the patient’s perspective on current gaps in the science and research of tick-borne diseases. In anticipation of the IDSA’s Lyme treatment guideline review hearing at the Ronald Reagan Building in Washington D.C., NatCapLyme created an awareness campaign using lime green ribbons placed on two of the main thoroughfares entering Washington D.C.
NatCapLyme held a Congressional luncheon briefing for members of Congress and staff on Lyme and tick-borne diseases. All 535 House and Senate members were invited. NatCapLyme engages in a variety of fundraising efforts to accomplish its mission and work on behalf of individuals with tick-borne illnesses. For almost 20 years, NatCapLyme has been a nationally known advocate for the recognition of tick-borne diseases and for the acknowledgment of the people who suffer from these diseases. Our collective voices have been heard at rallies and protests, offices of elected officials and governmental agencies (including the CDC), schools, churches, health fairs, community events, support group meetings, and any location where there is an opportunity to advocate for those afflicted with tick-borne diseases. Since its inception, NatCapLyme has provided support group meetings to Lyme sufferers and their families. Meetings are held in Virginia, Maryland, North Carolina and the District of Columbia, and are an important resource for patients trying to regain their health. These meetings create vital networks for patients to learn the latest information on topics such as the current treatments for tick-borne illnesses, opinions on alternative treatment modalities, personal experience on healthcare providers, disability and insurance issues, and basic life skills for dealing with the daily challenges these illnesses present. Perhaps most importantly, these gatherings provide social connections where patients obtain validation and comfort that they are not alone in their suffering. 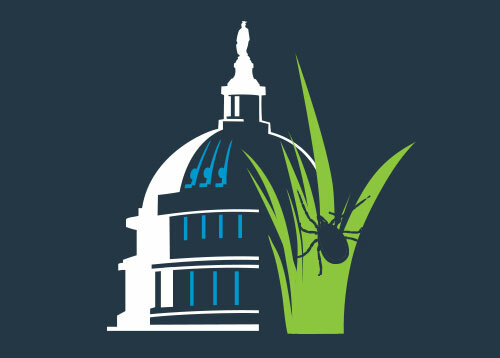 NatCapLyme authored and petitioned for the passage of the Lyme Disease Testing Information Disclosure Act of 2013. This legislation made Virginia the first state in the nation to require health care providers to give written disclosure to those tested for Lyme disease that current laboratory testing can produce false negatives, especially in the early stage of the disease. This grassroots effort proved that advocates working together can bring about significant change to benefit suffers of Lyme disease. Since the bill became law in Virginia, other states have similar legislation. Specifically, in 2016, the State of Maryland passed the Lyme Disease-Laboratory Test-Required Notice bill. NatCapLyme participated in the creation of a newly formed organization called Partners Against Lyme and Tick Associated Diseases (PALtad). This organization was founded to advocate for and protect the rights of patients suffering from tick-borne diseases. As an inclusive umbrella entity for many of the support and advocacy groups, both nationally and internationally, PALtad unites and empowers these groups so that jointly (partner-to-partner) they can fight to remove the many roadblocks preventing better testing, more accurate diagnostics, and improved treatment options for those dealing with such diseases. 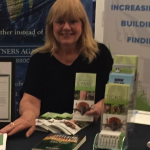 PALtad believes that in order to confront the status quo of misunderstanding and misdiagnosis that currently surrounds Lyme disease, advocacy groups need to establish a united front in the battle against tick-borne diseases. As one element of our public awareness campaign, NatCapLyme created a new series of highly acclaimed educational print materials on Lyme and tick-borne diseases. The collection includes seven brochures, a wallet-size tick identification card, and an informational poster. One brochure is in Spanish and is intended to reach individuals, such as landscapers, whose employment places them at a higher risk for encounters with ticks. All materials are distributed free of charge to the public and are being circulated by health departments, schools, civic associations, and government agencies across the country. On average, more than 250,000 pieces of literature are distributed each year. NatCapLyme participated as a panel member on numerous Virginia and Maryland Task Forces, which focused on Lyme and tick-borne diseases. One of the Virginia task forces held public hearings to gather important information about the accuracy of diagnostic tools and the efficacy of treatment. 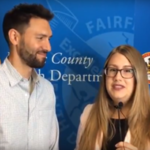 During these public forums, scores of residents testified about the detrimental impacts of Lyme disease and the problems of finding prompt diagnosis and treatment. 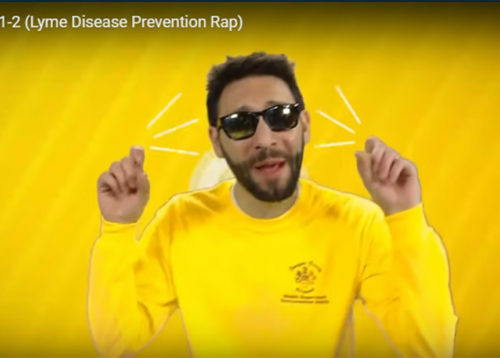 NatCapLyme also partnered with Maryland’s Montgomery County Health Department on a Lyme and tick-borne disease campaign. NatCapLyme was a participant in the Institute of Medicine’s scientific workshop and represented the patient community on a summation panel presenting the patient’s perspective on current gaps in the science and research of tick-borne diseases. We were also commissioned by the National Academy of Sciences to author a paper entitled, The Human Dimension of Lyme and Other Tick-Borne Diseases: the Patient Perspective. This paper was used as a supporting document for the Academy’s scientific workshop to assess the state of the science of Lyme and other tick-borne diseases. In anticipation of the IDSA’s Lyme treatment guideline review hearing at the Ronald Reagan Building in Washington D.C., NatCapLyme created an awareness campaign using lime green ribbons placed on two of the main thoroughfares entering Washington D.C. Lime green bows and ribbons were tied around trees and lamp posts, starting at the National Institutes of Health and ending at Freedom Plaza in front of the Ronald Reagan Building where the hearing took place. While the meeting was not open to the public, NatCapLyme arranged for patients to watch the proceedings by providing a media room at a nearby hotel. NatCapLyme held a Congressional luncheon briefing for members of Congress and staff on Lyme and tick-borne diseases. All 535 House and Senate members were invited. The goal of the luncheon was to convince Congress of the depth of human suffering and loss of productivity caused by tick-borne diseases. We wanted Congress to know the controversy surrounding diagnosis, treatment, and that the existence of chronic Lyme disease requires their attention and immediate action. We believe investigative Congressional hearings on the growing epidemic of Lyme and other tick-borne diseases are critical. NatCapLyme engages in a variety of fundraising efforts to accomplish its mission and work on behalf of individuals with tick-borne illnesses. The funds we raise are distributed to support research, education, legislative and advocacy activities. We give precedent to those projects, researchers and advocacy groups whose work will help advance the goal of obtaining a cure for Lyme and tick-borne diseases.